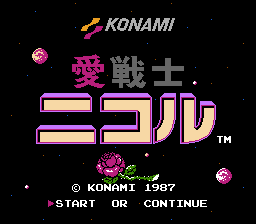 OverviewA top-down sci-fi action-adventure game for the Famicom Disk System developed and published by Konami in 1987. 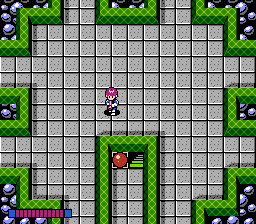 This is a game about a boy named Nicol who has his girlfriend kidnapped by a alien. Nicol must get four diamonds at each stage to go to the next stage. This game is a bird-eyed view shooting game. You collect up-grades/equipment that help you on your journey. It has pretty nice music, graphics, and game play; you should play it. Now you can add videos, screenshots, or other images (cover scans, disc scans, etc.) for Ai Senshi Nicol (Japan) [b] to Emuparadise. Do it now!